I'd rather be playing with those "cups". Wanna round my bases tonight? I wouldn't stop at 3rd base if I could run home with you. Were your parents kickball pitchers? Because you have some nice mounds. I’m like kickball — unexpected exercise. Let’s get our kicks together. I’m like a kickball — so big you need two hands. 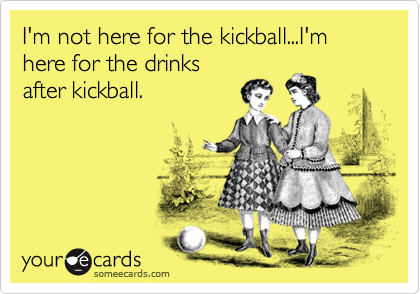 Dating me is like playing kickball — you’ll need to get really drunk after.